The islands of Bermuda are only a 2-3 hour flight from many cities on the east coast of the USA. Upon arrival, your transportation options include taxis, buses bicycles or motor scooters. There are NO RENTAL CARS IN BERMUDA! Residents are not permitted to have more than one registered car per household. This is mostly due to avoid congestion on the narrow, windy roads and bridges. Motor scooters are popular with both residents and tourists and are a convenient way to see the islands. Don’t forget about driving on the left side of the road! 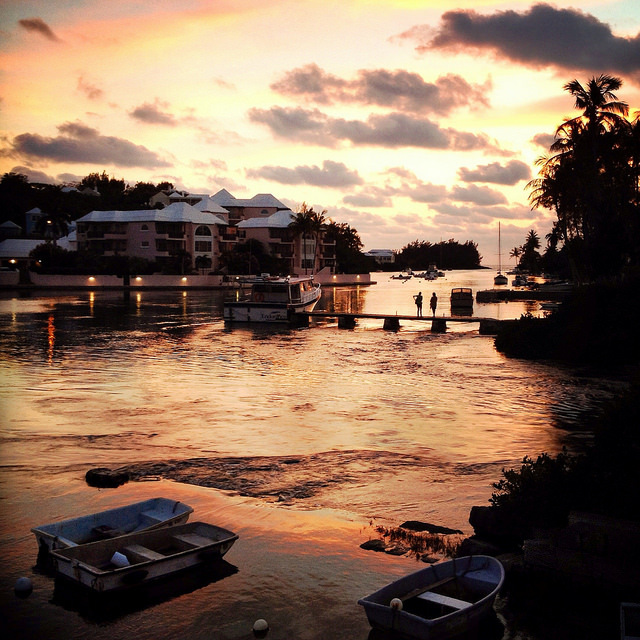 It takes about one hour for a leisurely drive from one end of Bermuda to the other. Additionally, Bermuda is a very safe place to travel. So what is there to see and do? Let’s start off with the famous pink sand beaches. Although they are not as pink as some of the photographs would lead you to imagine, they are pink tinged and unique due to red organisms from the sea that are broken up by the waves. 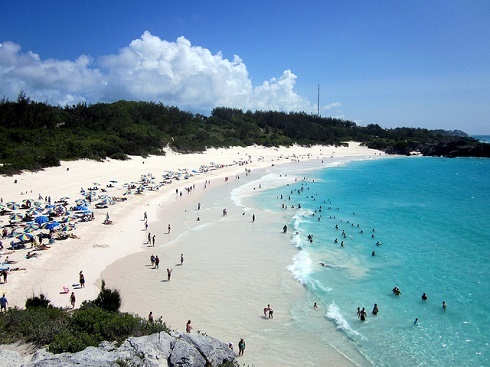 Of the 34 amazing beaches in Bermuda, the pinkest is said to be Church Bay, while the most famous, which is often listed in the world’s top 10 is Horseshoe Bay Beach, located on the west end in Southampton Parish. Elbow beach at Paget Parish is great for swimming and snorkeling with calm waters and a shipwreck near the shore. Tobacco Bay Beach in St George Parish has lots of rock formations and colorful marine life, which makes it a great snorkeling destination. For privacy, hike through Hog Bay Park to reach the secluded Hog Bay Beach. A calm beach well appointed with facilities, makes John Smith’s Bay Beach great for families. There are many more and many are interconnected. The capitol and commercial center of the island is Hamilton. Here you can find the best shopping, museums, restaurants and galleries. Front Street runs along the harbor and is the docking place for cruise ships, ferries and tour boats. The street is lined with colonial buildings housing shops, restaurants and commercial establishments. Follow the narrow alleyways leading away from Front Street for more small shops and galleries and quaint little seafood restaurants. There are many historic churches and buildings worth seeing in Hamilton. The Cathedral of Most Holy Trinity (Anglican) and St. Andrew’s Presbyterian date from the 1800’s. 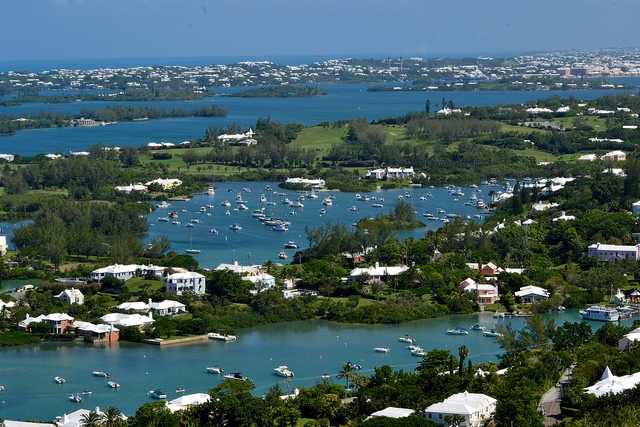 There are many more in Bermuda with nearly 100 dotting the islands, many dating as far back as the 1600’s. 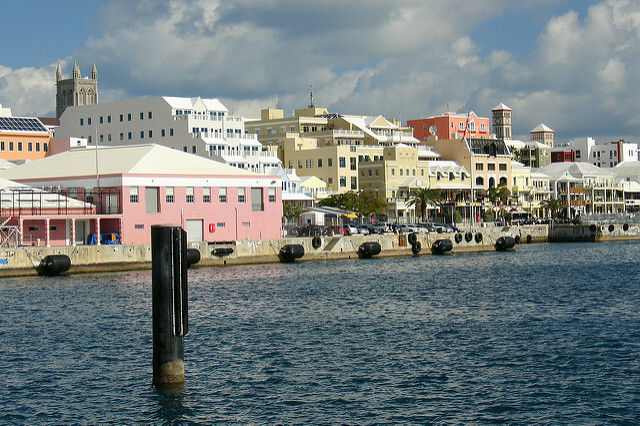 The Bermuda Cabinet Building is home to the oldest Parliament in the western hemisphere. Here you will find the oldest continuous English settlement in the western hemisphere. St. Georges Parish has several forts which were built to defend Bermuda’s first settlement. 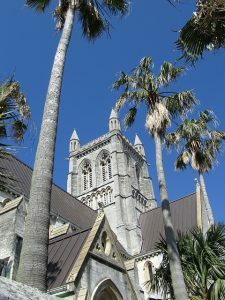 The city is a cobblestone maze and merits an afternoon of exploring along with the several small museums and St. Peter’s church, dating from 1612- you guessed it- the oldest Anglican church in the western hemisphere. 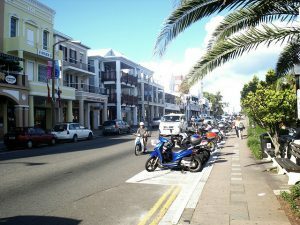 Located in the Somerset Island area, many of the buildings here have been converted into restaurants and shops. 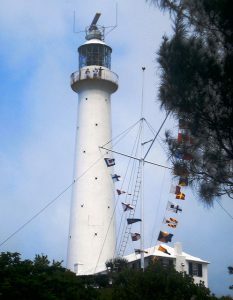 Highlights include the Clocktower Center where you will find a mall, the Bermuda Arts Center and the Bermuda Maritime Museum which exhibits displays about whaling, shipwrecks and maritime art. The authentically furnished 19th century Commissioner’s House is a large house built in Georgian style. It is the first cast iron house ever built and was shipped from England where it was built. Its restoration took 25 years and it was opened to the public in 2000. In 1905, 2 teens were chasing a runaway cricket ball and stumbled onto a small hole in the ground which led to the discovery of this spectacular cave system. There is sparkling clear sea water on the floor of the caves and in addition to the usual stalagmites and stalactites, these caves have long crystal tubes. These are enhanced by a sophisticated lighting system and the caves are easy to navigate on floating pathways. 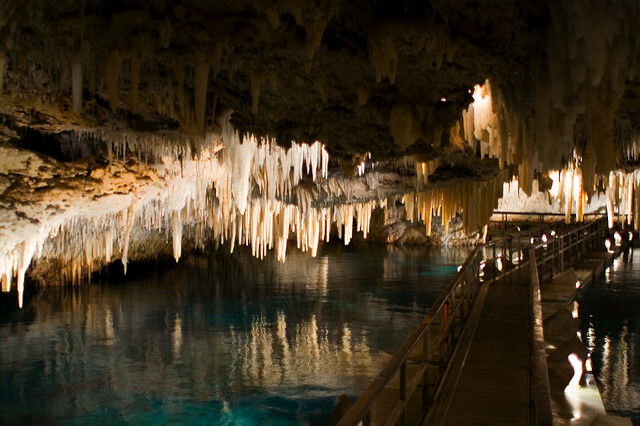 BAMZ is an abbreviation for the Bermuda Aquarium, Museum and Zoo. The aquarium is one of the oldest in the world and the museum features natural history exhibits. displays and rest stations to break up the climb. Bermuda has been called the wreck capitol of the Atlantic with over 300 shipwreck sites to visit and wreck diving is a popular activity. Some are even visible to snorkelers. The 1936 luxury Spanish liner Cristóbal Colón is only one example with a depth that ranges from only 15 feet below the surface. Exploring the wrecks is an adventure enhanced by underwater caverns, reefs and vibrant sea life. To get a closer look at some of the treasure from these shipwrecks, visit the Underwater Exploration Institute in Hamilton. The Treasure Room exhibits the incredible bounty recovered from many of these wrecks. Don’t miss the Jack Lightbourn Shell collection, one of the world’s most extensive collections of sea shells. Another way to explore the island by bike or by foot is the Bermuda Railway Trail. The trail is about 18 miles long and promises cliffs, forests, beaches and dunes. The Bermuda Railway ran from 1931-1948 and the path follows the railway’s former route.